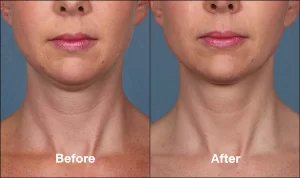 KYBELLA® is a new nonsurgical treatment for submental fullness, sometimes referred to as “double chin.” Each treatment session with KYBELLA® is typically 15 to 20 minutes, given right here in our office. Individuals with a double chin or excess fat around the jawline are excellent candidates for KYBELLA®. Because KYBELLA® requires no general anesthesia, it is safe for almost every individual. 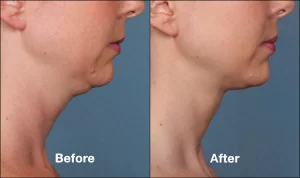 Since KYBELLA® dissolves excess fat cells it does not wear away. As long as you maintain your weight, your jawline should stay taught and youthful, as the fat cells are permanently destroyed. For more information visit KYBELLA™ website.